HockeyPucks hiking and highpointing: Mt. Sugarloaf, Spaulding Mountain and Mt. Abraham - Rangeley Me. Mt. 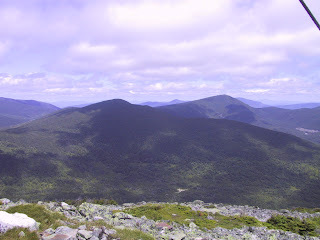 Sugarloaf, Spaulding Mountain and Mt. Abraham - Rangeley Me. From ME 27 exactly 1.0 miles north of the Sugarloaf USA access road turn left onto gravel Caribou Valley Road. At the time of my journey the only road signage was a paper plate marked Caribou Pond Road. Carefully follow Caribou Valley (Pond) road 4.5 miles to the trailhead. The road hasn't been used by logging companies in several years and the road condition has deteriorated rapidly. There is parking available at 3.9 miles just before a rickety wooden bridge. The 0.6 miles to the trailhead is slow going over muffler damaging rocks and potholes. Use caution if you dare to attempt driving the entire distance to the trailhead. DESCRIPTION: From the Appalachian Trail head on Caribou Valley Road (sometimes named Caribou Pond Rd) follow the AT south crossing a branch of the Carrabassett River. The trail parallels the stream then begins a moderate ascent which quickly transitions into brutally steep terrain. At higher elevations the trail crosses open areas providing excellent views of the Crocker Mountains to the north. 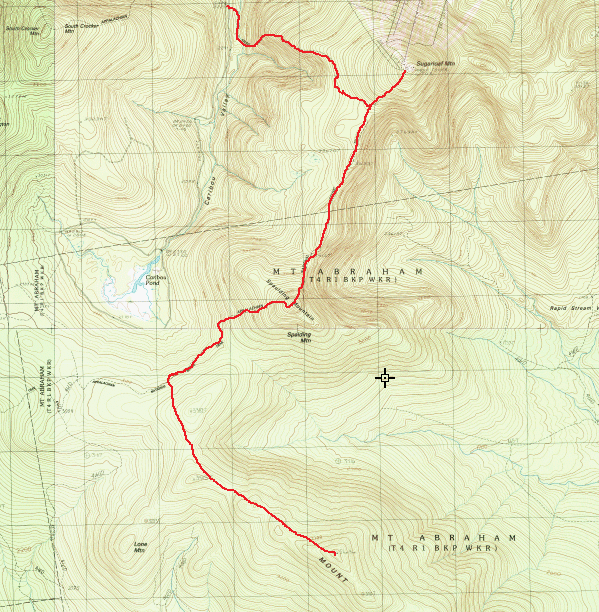 At 1.9 miles the AT bears right and the Sugarloaf Spur trail leads 0.6 miles to the open summit of Sugarloaf Mountain. Sugarloaf contains a ski area on it's northern slope and houses a inaccessible communication tower. The summit has breathtaking views of the surrounding mountains. 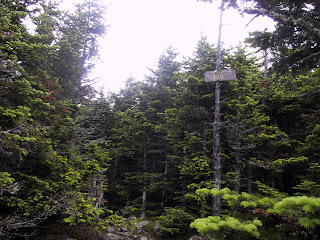 Descend 0.6 miles to the AT junction and continue south towards Spaulding Mountain. The AT traverses the ridgeline with occasional views and some steep cliffs to the east. You'll pass a CCC monument marking a N-S connection point of the AT where the southern builders of the trail met the northern builders. After 1.5 miles the AT begins it's ascent of Spaulding mountain rising steeply then becoming more moderate as you reach the summit cone. A short, 0.1 mile, blue blazed spur trail leads to the 4000 foot summit of Spaulding mountain marked with a sign. 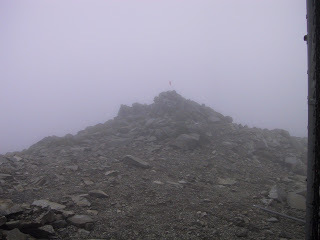 There are no views from the summit. These two mountains can be hiked as a typical day hike however Mt. Abraham is another 2.75 miles away and for a determined hiker can be included as part of a long day. To include Mt. Abraham continue south along the AT descending the steep cone of Spaulding Mountain. The trail levels and passes the Spaulding lean-to site at 0.6 miles. After another 0.5 miles you'll reach the Abraham Slide trail junction. Turn left (east) and begin climbing through hardwood trees then steeply emerge into a field of rocks leading to the summit of Mt. Abraham. The summit contains the remains of a fire wardens tower and several wind break shelters at the summit. The views from Mt. Abraham are panoramic. Return the way you came. The most difficult section of the return is the brutally steep 0.6 mile pitch over Mt. Spaulding. Sugarloaf Mountain is the 3rd highest peak in Maine, Spaulding the 14th and Abraham the 10th. 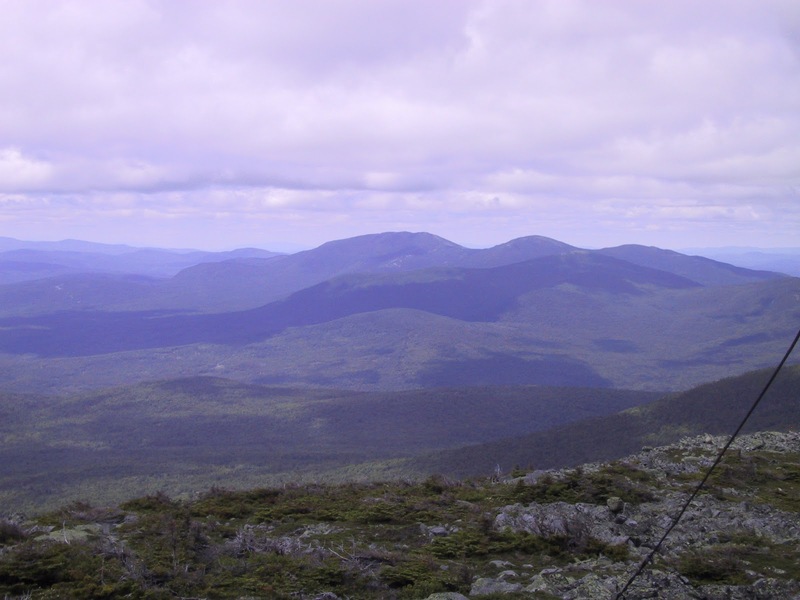 All 3 mountains are above 4000 feet tall and on the AMC list of peaks above 4000 feet in New England. Sugarloaf Mountain offers panoramic views from it's summit, Spaulding Mountain is much more remote and has a semi-open summit however the surrounding trees prevent any views. The Mt. Abraham summit houses a former fire tower and provides spectacular views of the surrounding mountains. A branch of the Carrabasset river crosses the AT near the trailhead and a dip in the cool refreshing water is an awesome way to relax after a long day of hiking.